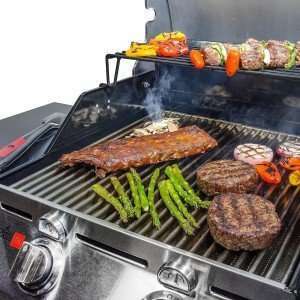 The This Char-Broil Performance TRU-Infrared 340 2-Burner review shows that this gas grill is a very popular grill because of its size and performance. The Tru infrared system by Char Broil is known for the many benefits like non flare ups, a better heat distribution and faster cooking. With 340 square inches primary and 125 secondary cooking space this grill is big enough to cook for your family and friends. ==>> Check the price here!! Lets be honest it is really important to choose your grill surface wisely. To big means you use a lot of gas for nothing than heating up the air. To small is not enough room to cook on. This grill has 340 sq inches or main cooking grate. With the rule that you need about 70 sq inches per person, this means room for about 4 to 5 people if you cook a full meal including grilling veggies and more. For cooking burgers or a steak dinner there is more room of course and you can cook about 17 burgers if you jam pack the grill. I always try to use about 80% of the grill and this will leave you room to move things around. The 125 Sq inches of what is most of the time called warming rack can also be use to grill veggies or other things that has to cook on a little lower temperature than the grill grates are. This is maybe the most important part of a grill, because this is what you cook on. 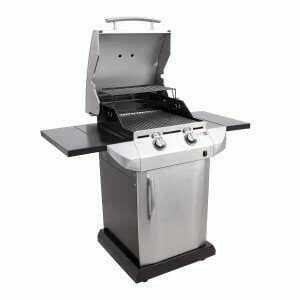 The 340 2 burner we review here had a stainless steel main cooking grate. The second or also called warming rack grate is made of porcelain coated stainless steel. First I thought that this was strange, but later I understood why the main grate is not made of porcelain coated material. The reason is that the way this grill grate is build with the small holes in it it would be impossible to coat it. All together I think its great that they still made the warming rack porcelain coated. We found hundreds of reviews for this grill and most of them with pretty good ratings. 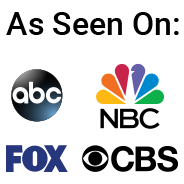 Here is a summary of the ratings we found. So, what did the 1 star raters mention? The main complaint was the cleaning of the grates and I have to admit that I agree with that. You do not have to clean them after every time you use the grill, but the little holes do get clogged up fairly fast. The only thing is that I knew that before I bought this kind of infrared grill. The easier cooking and the fact that there are hardly any flare ups plus the fact that you do not have to take the grill apart to clean the bottom makes it still and easier to use grill type for me. lets have a look at the other ratings. Some complaints about the grill grate rusting. Stainless steel does not mean rust free!!. The burners seem to rust fast in come cases. Hard to tell if this is a case of leaving the grill out in the weather or a real quality problem. Not to many people mentioned it. Maintain it and oil after you used it. It works for me. Not hot enough, Must be a regulator safety feature that kicked in. You can read our post here how to solve gas grill regulator problems. You can read the many comments that this is probably the problem. The higher ratings are mentioning a lot of times that the infrared system needs a little adjusting of your cooking and I can agree on that. I had a little learning curve. The infrared system is mentioned as great in many reviews and the even cooking temperature and lack of hot spots also. Although I think it is impossible to build a grill without any hotter or cooler spots. This grill is very good for daily use. if you need more advanced options like more indirect cooking I would look for a 3 burner grill. The Infrared grill system needs a little adjusting of your way of grilling, like I experienced myself. What most people do not like is the hard to clean grill grates and that is true. It is not easy and after using it a few times you have to manually unclog all the little holes. Burt if you turn you grill up all the way and let it burn of all the dirt first it is not to hard to do. Here is a closer picture of the grill grates so you can see what people talk about. Click on it to zoom in. Out of my personal experience I do not see to much difference, because this grill needs less cleaning of the bottom like most regular grills need to remove the grease. I like the temperature gauge on the grill surface and not in the hood like most other grills have. You want the temperature gauge where you cook. Although I still recommend a digital probe thermometer for this. Overall we recommend this grill as a good bang for you bucks. One of the recommendations we read that if you spray or brush your grill grates with cooking oil it is a lot easier to clean. The little pieces can not dry and stick to the grates. Makes sense to me and I will try it next time. Like always we recommend a quality grill cover. The Char Broil 2-3 burner grill cover will do fine. Or just look at our grill cover reviews to find one you like better. Read all our Char Broil Infrared Grill Reviews by clicking on the menu.